STUGA can be configured to meet your needs. STUGA can be as simple as a studio apartment or modules can be combined to make multiple bedroom dwellings. STUGA can be clustered together to create a modern neighborhood development. Pairing STUGA homes with the smaller STUGA models creates dense urban dwellings for modern living. STUGA is permit-ready and meets all City of Portland Zoning and Building Codes. STUGA can also meet regulations in other locations, she travels well. Streamlining the design process, three pre-selected, interior finish packages are available—all crafted to harmonize with the architecture of STUGA. Pricing and details upon request. 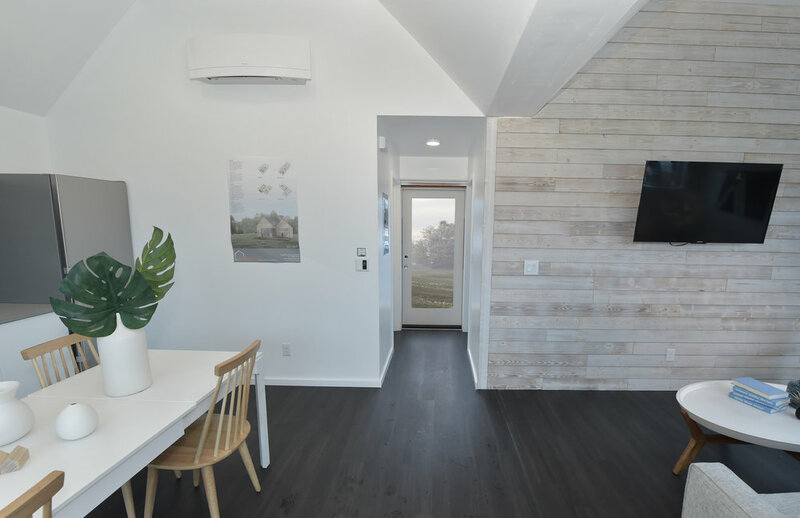 STUGA offers measures to reduce your carbon footprint, has the capability to support on-site energy production and allows for waste reduction during the construction process. STUGA can provide $1,000 to $1,600 rental income monthly depending on configuration (based on market comparisons). STUGAs Permit-ready and pre-designed configurations save time and reduce stress. STUGAs modest footprint with multiple configurations yields alternative housing options for middle-income households on standard sized lots. STUGAs First cost of construction is balanced with high quality durable materials, selected for easy maintenance over time. 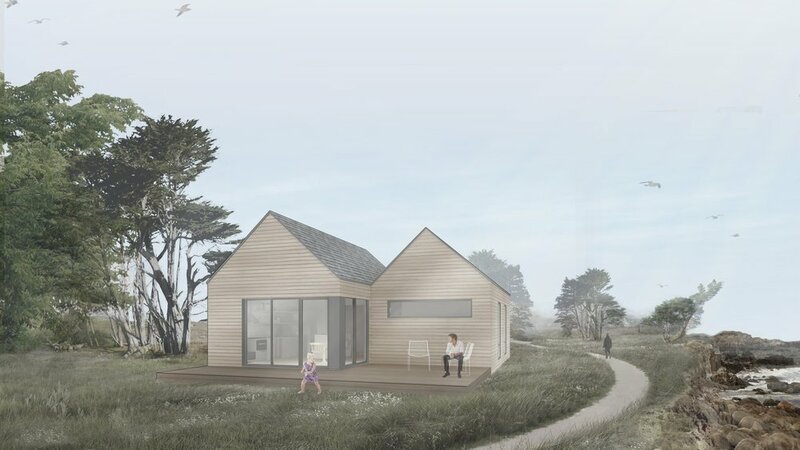 STUGA modules can be combined to create larger homes that are ideal for remote vacation destinations. STUGA can be built using a pre-fabricated construction process easing the logistical challenges of building in rural areas. STUGA is also available in compact modules for use as an add-on to the larger configurations or as standalone structures. Suited for a fitness room, home office, workshop or guest space, these modules are flexible and affordable. Thinking about adding STUGA to your property? The first step is a SITE ASSESSMENT completed by a Studio Petretti team member. Site Assessments are $500, due prior to starting work, and will be completed within one week of request. Please send a message to stuga@studiopetretti.com or use the form on this page and we will reach out via phone. After the Site Assessment, you select a preferred site plan. Our team is available to design any unique site amenities (decks, patios, bike storage, etc. ), apply any customizable finishes, and outline a final site work estimate. STUGA will be ready to set in four months or less from final order to install. Studio Petretti project manages all engineering and permits required for building. Ask us about the details; we are happy to explain the simplified streamlined process. ALL content on this site is protected by copyright © 2017 Studio Petretti Architecture and may not be duplicated.